For years, the Durango R/T was Dodge’s flagship performance SUV. It came with 360 horsepower from the 5.7-liter Hemi V-8, a performance-tuned suspension and exhaust, rear- or all-wheel drive, and a racer appearance. But for 2018, the Durango R/T loses its crown to the 6.4-liter Hemi-powered Durango SRT. 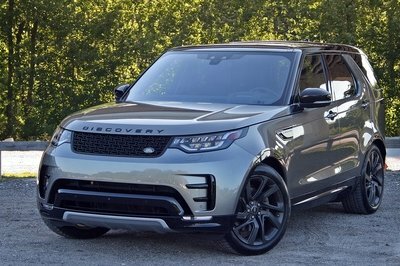 The big V-8 kicks out 475 horsepower, making the most powerful three-row SUV with an American badge. Thankfully Dodge isn’t letting the humbled Durango R/T be forgotten. It receives the same cosmetic upgrades found on the Durango SRT, namely the functional performance hood and front fascia. These exterior updates aren’t mere cosmetic consolation prize. Both the hood and front fascia are aerodynamically tuned to better ingest cool air while extracting heat from the engine bay. Officially, these enhancements don’t improve the 5.7-liter’s horsepower or torque stats, but in practice, it’s likely the cooler intake temperatures and mild ram-air effect the Durango SRT’s cold-air duct system, combined with lower engine bay temperatures, help boost performance. Then again, Dodge would surely announce any performance gains. In addition to the new bodywork, the Durango R/T will be available in “B5 Blue,” the legendary electric hue only offered on Dodge’s SRT products. Other updates include a new T-handle gear shifter that replaces the rotary knob and a new sport steering wheel. Pricing will be announced closer to the 2018 Durango’s on-sale date in the third quarter of 2017. The Performance Hood, grille, bumper, and lower fascia are all borrowed from the new-for-2018 Durango SRT. The Durango R/T’s big news for 2018 is its updated front end styling. As mentioned, the Performance Hood, grille, bumper, and lower fascia are all borrowed from the new-for-2018 Durango SRT. Dodge did spend a considerable amount of development hours honing the fascia for the cooling needs of the Durango SRT. The 6.4-liter Hemi V-8 with its 475 horsepower and 470 pound-feet of torque generates some warm temperatures, after all. It seems Dodge didn’t want that engineering investment to solely ride on the Durango SRT. 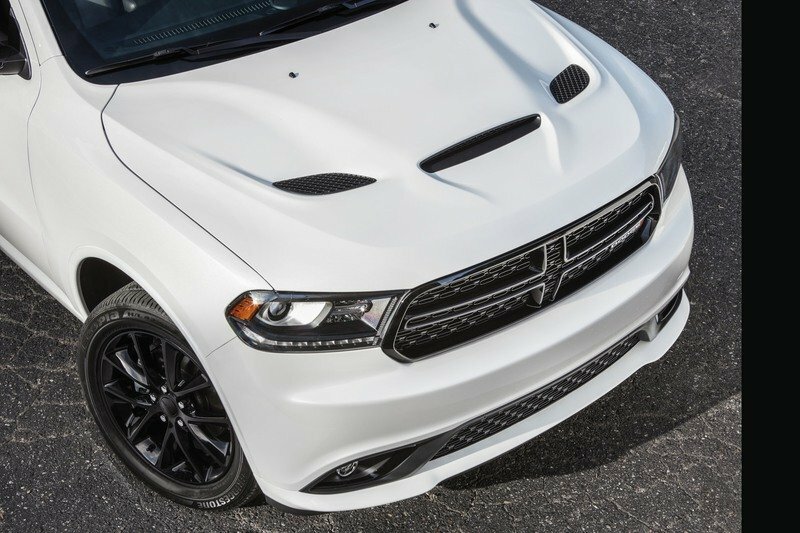 The Performance Hood is inspired by the fully functional Hellcat hood. The center scoop pulls cool air into the engine bay, while the mesh vents on either side help expel hot air. The engine is fed via a duct system located just above the driver-side fog light. The intake system then routed upward and into the air box. In an interview with Pete Jacobsen, the vehicle development manager for the 2018 Dodge Durango SRT, at the Texas Auto Writers Association’s 2017 Auto Roundup, Jacobsen told us the intake system does provide a slight ram-air effect at higher speeds. He also says his engineering team found air temperatures to be cooler by 17 degrees Fahrenheit during towing. Needless to say, but these improvements are a welcomed addition to the Durango R/T. Also newly standard for 2018 is the front and rear ParkSense system. Optionally, customers can get adaptive cruise control, which is that eyeball mounted in the lower grille. The standard fog lights are LED, as are the daytime running lights. As for telling the Durango R/T apart from the Durango SRT, it comes down to badging. The R/T gets a Dodge badge in its front grille, while the SRT gets, well, an SRT badge. The SRT also has a 392 badge on its front fenders and another SRT badge on the tailgate. The R/T also rolls on 20-inch wheels with narrower, 265/50-series rubber. The SRT gets 295-series meats. 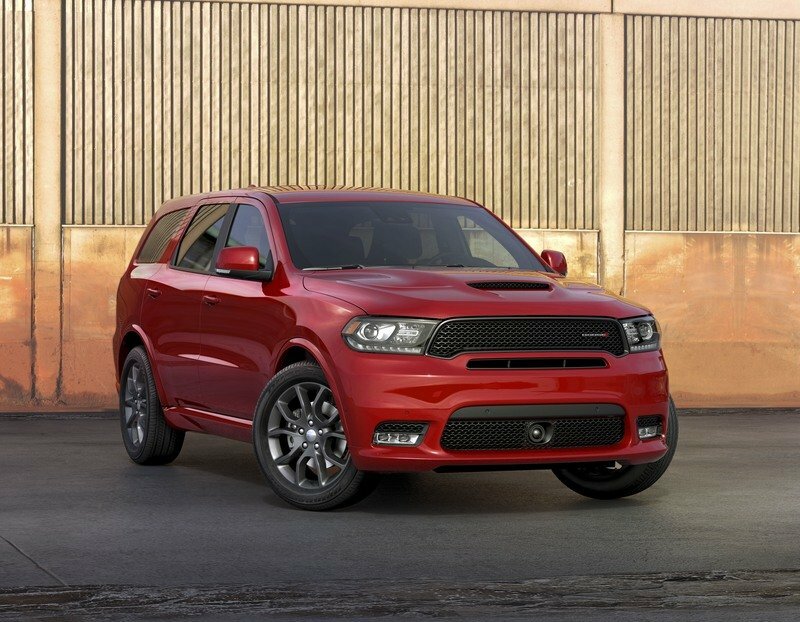 It’s also worth noting Dodge is installing the Performance Hood (but not the SRT-style grille and bumper) on Durango GT with either the Blacktop or Brass Monkey Appearance Packages. That’s where you’ll see the scooped and vented hood mixed with the traditional crosshair grille. Note: interior from Durango SRT shown here. The rotary shift knob is replaced with the familiar T-handle shifter found in other Dodge vehicles. Things inside the 2018 Dodge Durango R/T don’t change much. However, there are a few key differences. The rotary shift knob is replaced with the familiar T-handle shifter found in other Dodge vehicles. A “sport” steering wheel is new, too, helping add to the athletic theme. And complying with Federal mandates, all Durango models now come standard with a backup camera. Thanks to the R/T’s high rank in the Durango lineup, it has always come with one. The Durango offers room for seven people in a 2+3+2 configuration. For those wanting better access to the third row, second-row captain’s chairs can be had. Atop that, an optional center console can be had between those seats, adding two cup holders and a large storage compartment. 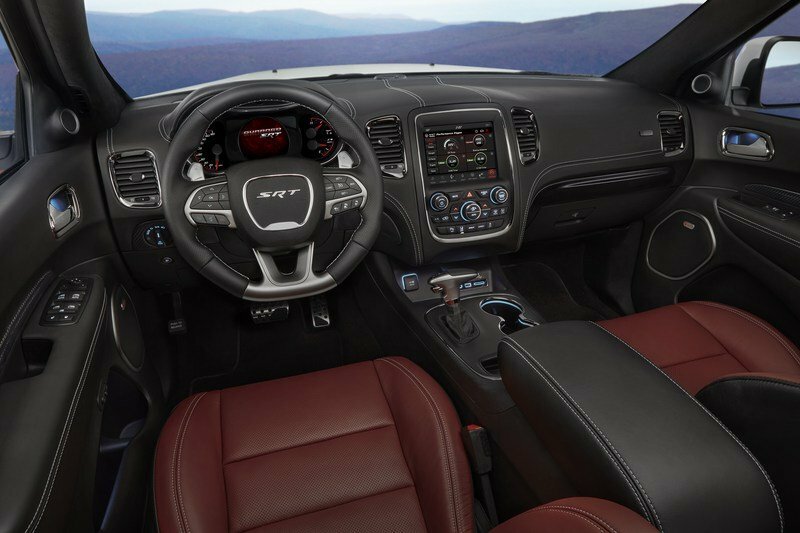 Leather seating is standard in the Durango R/T, and come in either black or red. Optionally, customers can get the dashboard wrapped in black leather with contrast stitching. The Durango features a 7.0-inch TFT display in the gauge cluster, providing plenty of nerdy vehicle details. As for technology, the Durango features a 7.0-inch TFT display in the gauge cluster, providing plenty of nerdy vehicle details. The 8.4-inch Uconnect infotainment system is standard, too, including navigation. As mentioned, adaptive cruise control is optional. 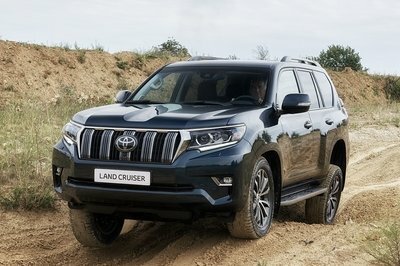 It’s bundled in the appropriately named Technology Group package, which also brings Advanced Brake Assist, Blind Sport and Cross Path Detection, Full Speed Forward Collision Warning Plus, and Lane Departure Warning Plus. For 2017, Dodge is charging $2,295 for the package and we don’t expect that price to wildly change. For the kiddos in the back, an available DVD Entertainment Center brings dual, 9.0-inch screens mounted to the front seats. It includes a Blu-Ray player and connections via USB, HDMI, and RCA ports. Rear passengers also get plenty of air vents and HVAC controls separate from the front. 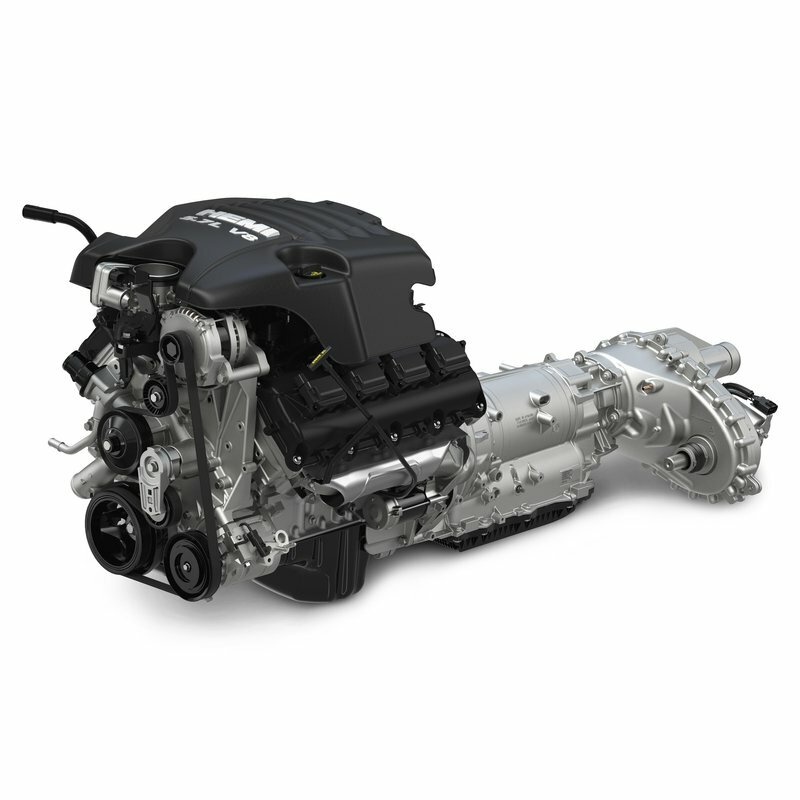 The venerable 5.7-liter Hemi V-8 and ZF eight-speed automatic transmission make their return. The Durango R/T soldiers on unchanged under the hood for 2018. 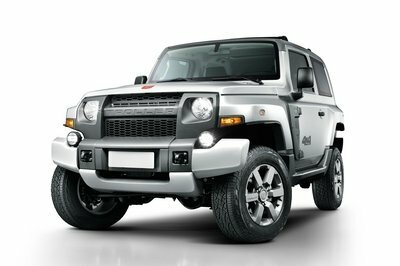 That means the venerable 5.7-liter Hemi V-8 and ZF eight-speed automatic transmission make their return. Like before, the Hemi makes 360 horsepower at 5,150 rpm and 390 pound-feet of torque at 4,250 rpm. Power is sent to the rear wheels, or to all four with the optional AWD system. 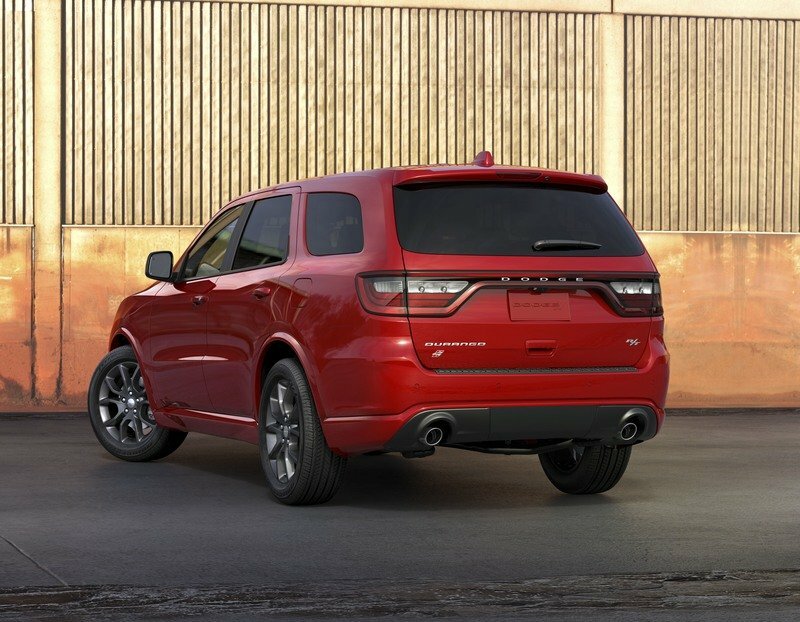 In AWD form, the 2016 Durango R/T hits 60 mph in 6.2 seconds and runs the quarter-mile in 14.7 seconds at 95 mph, according to Car & Driver. That’s not bad for a 5,369-pound SUV. Also impressive is the Durango R/T’s tow rating. Dodge says it can lug 7,200 pounds on its optional trailer hitch. Unloaded, the EPA estimates the Durango R/T in AWD gets 14 mpg city and 22 mpg highway. The big Hemi helps itself with MDS cylinder deactivation and variable valve timing on its single, in-block camshaft. Of course, having eight forward gears doesn’t hurt. The Durango R/T rides on a unibody chassis with four-wheel independent suspension. Stiffer springs and a 20-mm drop in ride height give it a better foundation for cornering. Dodge has not announced official pricing for 2018, but we’ll update this section when pricing is released ahead of the 2018 Durango R/T’s third-quarter launch in 2017. Nevertheless, we don’t expect a massive jump in price over the 2017 model, meaning the base MSRP will hover around $42,000. AWD models jump in price to $44,695. Check every option box on an R/T with AWD, and the price rises past $53,600. Still, that’s not terrible for a performance SUV with seating for six (with captains chairs) and all the modern conveniences and technologies. The Durango R/T is short on competition, as V-8-powered, unibody SUVs with three-row seating are rare, at least without getting into the luxury category. However, Chevy has answered the call for 2018 with its new Rally Street Truck package for the Tahoe. Sure, it’s a body-on-frame SUV, but otherwise, the two stack up rather well. 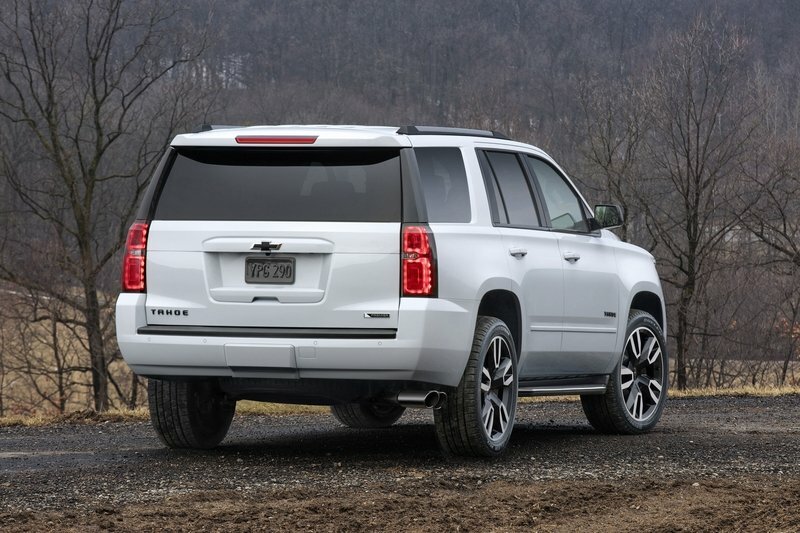 As for the Tahoe RST, it brings a sportier attitude with unique styling and 22-inch wheels. Options include six-piston Brembo brakes and a Borla performance exhaust system. Better yet, the RST package unlocks available Performance Pack, which includes the mighty 6.2-liter V-8, GM’s new 10-speed automatic transmission, and Magnetic Ride Control. The big V-8 kicks out an impressive 420 horsepower and 460 pound-feet of torque. 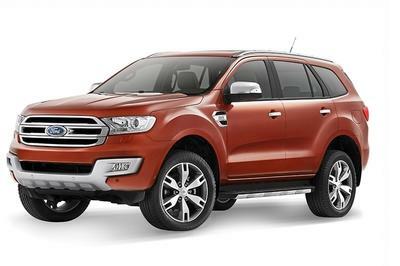 The standard 5.3-liter V-8 is more closely matched to the Durango R/T, with 355 horsepower and 383 pound-feet of torque. Chevy does say the optional Borla exhaust adds between seven to 10 horsepower to both engines. Performance specs include a sprint to 60 mph in 5.7 seconds and a tow rating of 8,400 pounds. The RST package is available on LT and Premier trim levels of the 2018 Tahoe and Suburban. The Performance Pack is only offered on the Tahoe, however. Pricing has not been announced, but sales will begin sometime before 2017 wraps up. 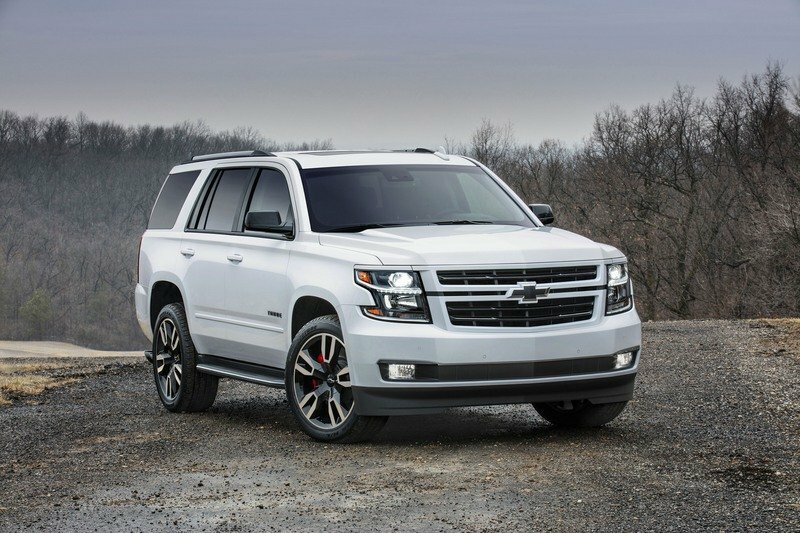 Read more about the Chevrolet Tahoe RST here. The Durango is hardly a spring chicken these days, but Dodge has done a great job keeping it fresh and exciting. The dash features plenty of modern technology, while available active safety systems keep a watchful eye on the road. Best of all, the R/T packs that Hemi power, sport-tuned suspension, and aggressive looks. It might not have the brawn of the Durango SRT, or the swanky adaptive dampers and driving modes, but the R/T offers a great bargain for folks wanting a muscle car but needing a minivan. It’s nearly a perfect compromise. And unlike most compromises, the Durango R/T isn’t stunted in its on-road performance or people-hauling abilities. And of course, the Durango R/T obliterates the stale and soft persona stuck to most family-friendly crossovers and SUVs. It’s got a bad attitude and it’s not going to apologize. 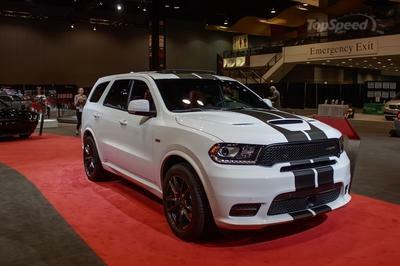 Dodge took the wraps off its new 475-horsepower 2018 Dodge Durango SRT, introducing America’s fastest, most powerful and most capable three-row SUV with 475 horsepower at the Chicago Auto Show in February. Now, new for 2018, all Durango R/T models share the all-new Durango SRT’s aggressive, functional performance hood and fascia as standard equipment. The performance hood features a center air inlet duct flanked by heat extractors, a front lower valence that houses a new cold-air duct system and LED fog lamps. Durango GT models equipped with the Blacktop or Brass Monkey appearance package now offer the performance hood, first seen on Durango SRT, as an available option. In addition to the new front fascia, Durango R/T is one of only two models to be available in a B5 Blue exterior color (late availability); Durango SRT being the other. Front Park Assist, which uses sensors in the front bumper, is now included with ParkSense® Park Assist System and is now standard on Durango R/T models. New for 2018, Durango GT models now feature a standard power liftgate and Capri and suede bucket leather seats. Capri leather seats and the Technology Group are also available as standalone options, as well. For 2018, all Durango models feature a backup camera, a new sport steering wheel and driver-oriented electronic T-shifter which provides the driver with intuitive gear selection and offers an Auto Stick selector gate for added control. Customers can also opt for the available hand wrapped instrument panel with accent stitching. 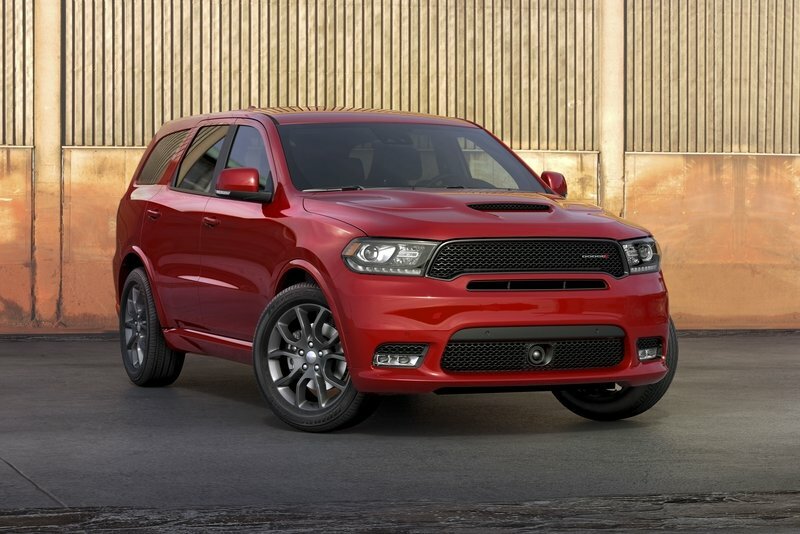 Dodge continues to deliver customization and features that its loyal Durango customers love. Durango R/T’s new look is standard with a BeatsAudio nine-speaker audio system that includes a subwoofer and a 506-watt amplifier. This BeatsAudio premium audio system offers studio quality sound in the customer’s vehicle, available on the Durango GT and Citadel, and standard on R/T. 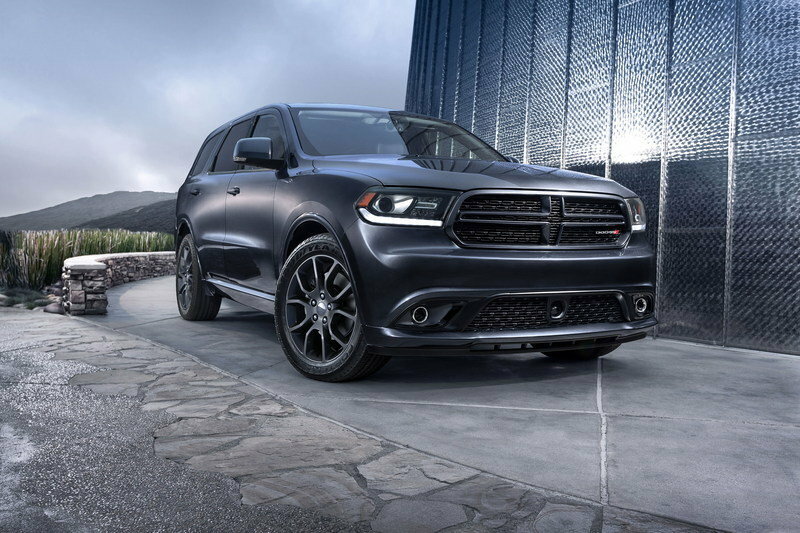 The Dodge Durango boasts class-leading towing and driving range, confident driving dynamics, advanced technology, aggressive styling, and with the addition of the new exterior performance fascia on R/T, now offers even more ways customers can stand out in a sea of sameness. Dealers are currently able to place orders and vehicles will start arriving in dealerships in the third quarter of 2017. Pricing for the 2018 Dodge Durango will be announced closer to vehicles arriving at dealers.